Merriam-Webster defines culture as “a way of thinking, behaving, or working that exists in a place or organization (such as a business).” For radiology groups considering consolidation, the best way to achieve success is to determine if the two groups are culturally a good fit. Obviously, no two practices are identical, even though they may have the same number of physicians and organizational similarities. Notably, a key difference among practices remains the physicians who have ultimately defined a practice’s culture. 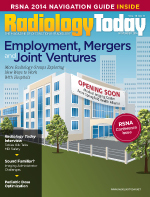 Aligning with a radiology practice that has a compatible culture is a key variable in a successful merger decision. While the radiology industry is currently seeing a lot of consolidation, groups still will walk away from a consolidation opportunity if the cultures are incompatible. When two groups are contemplating a merger or some form of combined relationship, each group’s benefit structure is of significant interest. Benefits are a direct reflection of a group’s culture and reviewing the benefit structures of each group can be essential in identifying and understanding the underlying motives of the group’s shareholders as well as basic similarities. Benefits to compare can include health insurance, disability coverage, vacation and paid time off, continuing education, malpractice insurance, and retirement planning. Health care providers find the healthy work-life balance just as challenging as any other industry, and when a group of physicians builds a practice, the benefit structure they choose in this area will directly reflect the goals they’ve set forth for their work-life balance. There are several areas that fall into this benefits category, including life and health insurance policies, dental and vision coverage, paid time off, continuing education, and long-term disability coverage. There are many variables to analyze when evaluating a potential partner, but groups should be especially cautious when reviewing the long-term disability coverage offered by a potential merge partner. With many groups, the individual physicians pay the premium as a payroll deduction. However, some groups pay for the premium. The difference between the two is that the benefit is taxable to the employee if the group pays for it and he or she uses it, but if the employee pays the premium, the benefit is tax-free. While one option is not necessarily better than the other, it is important to understand how the other group is managing this area. Coverage for life, health, and dental insurance can also vary by each individual practice. The key factor for groups to consider is how the coverage is paid. In some physician-only practices, the cost is equalized between the shareholders; if one shareholder has family coverage, the cost is equalized with the shareholders who are only using individual coverage. Equalization is often also used for continuing education allocations. Another revealing variable is the paid time off and vacation time allotted. Groups should ask if shareholders can buy and sell their vacation time or how many years must be invested to earn vacation time. Medical malpractice insurance for radiologists can come at a very high cost, especially for those subspecialties that perform more invasive procedures. Various policies for malpractice coverage are available, and groups seeking consolidation need to take inventory of their options in this area. Malpractice insurance is paid for by many groups, which typically will select the carrier and negotiate the policy details. Professional liability insurance comes in two basic forms: claims-made and occurrence. In today’s insurance market, the overwhelming majority of policies available are claims-made, but a few insurance companies do offer occurrence policies. Claims-made insurance provides coverage only for incidents that occur and are reported while the employee is insured with that carrier. For a claim to be covered, the claim must be filed while the insurance is still in effect. If a claims-made policy is dropped, most likely because an employee leaves, the policy does not cover any suits filed later unless the person pays “tail coverage,” the term used for an extended reporting endorsement. Tail coverage is expensive—often more than twice the amount of an annual premium—but it’s essential to be insured for any claims that could arise later. Occurrence policies, on the other hand, pay claims based on when the claim occurs rather than when it is filed, and no tail is required under these policies. For this reason, the premiums are usually substantially higher than under a claims-made plan. Groups can set up their malpractice coverage in various ways. For instance, some groups require the employees pay for tail coverage themselves while other groups may pay for this coverage, often only after a vesting period. Because liability coverage is so important, this is a variable that demands considerable review when groups consider a merger. Lastly, it is important that groups understand the terms of the retirement plans in a merger, including what the other group has and how it may be impacted in the event of a merger. The structure of a group’s retirement plan is often determined by the size of the group and whether it is completely shareholder-based, or composed of shareholders and nonshareholders. Of course, every radiology practice usually has some form of retirement plan, and a majority of groups maximize those plans. Defined contribution plans, the most prevalent, can be implemented using traditional 401(k) plans, profit-sharing plans, or both. In traditional 401(k) plans, the Internal Revenue Service (IRS) limits the combined profit sharing/401(k) contribution amount, which changes annually. Practices typically take the IRS limits into account and adjust contributions, whether made by the group through profit sharing, or matched to employee contributions in their 401(k). Either way, groups should be aware of what has been put in place. A profit-sharing plan is a defined contribution plan in which the amount allocated to each individual account is usually based on the participant’s salary level. Depending on how the plan is structured, the shareholders control the frequency and amount of the contributions based on applicable circumstances, and in some cases, whether or not the company makes a contribution at all. Groups that have a larger staff, including both shareholders and nonshareholders, often use both the traditional 401(k) retirement tool and the profit-sharing plan as a way to offer more contribution flexibility when salaries vary widely across the employee base. When groups are considering the success of a potential merger, many factors beyond the financial balance sheets must be reviewed and compared. Salaries, vacation time, retirement, and health insurance benefits affect all individuals in the organization on a personal level and will ultimately help groups determine if their pursued partnership has a complementary culture. — David A. Myrice, CPA, MBA, is a director of practice management for Zotec Partners.